Since its inception in 2000, The Museum of Contemporary Art of Georgia has been a critical platform for contemporary Georgia artists to exhibit, preserve and launch their works into the global artistic conversation. The museum’s emphasis on supporting local artists is reflected through multiple grants and residency programs aimed at promoting Atlanta as “a city where artists can live, work and thrive.” MOCA GA boasts an extensive Education and Research Center, as well as a collection of over 900 works by more than 250 Georgia artists ranging from the mid 1940’s to today. 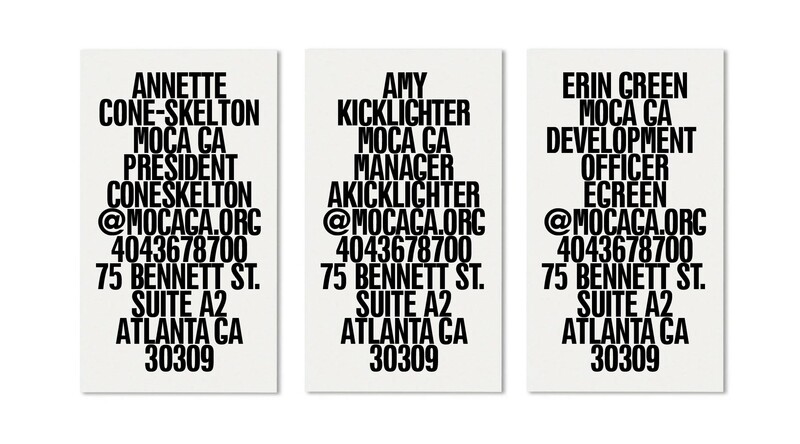 Annette Cone-Skelton, co-founder of MOCA GA, approached Armchair to re-architect and redesign the museum’s long out-of-date website. Our initial discovery sessions revealed the need for an overhaul of the organization’s entire graphic identity, one which its in-house design team could easily work within to create future materials — a constraint we were happy to embrace considering our affinity for clarity and simplicity. From the onset, the process felt thoroughly collaborative. 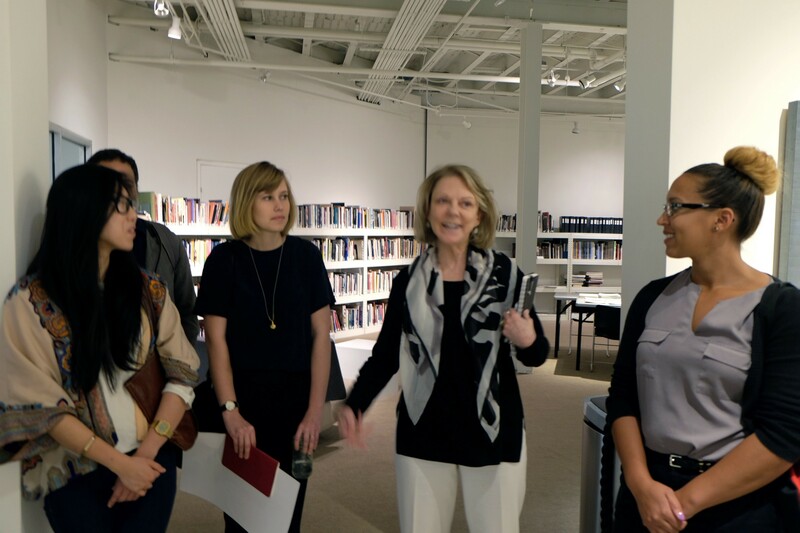 Annette and her team often invited us into their space, allowing us to better familiarize ourselves with the museum’s environment, context and history, painting a clear picture of where the identity would come alive. As artists and enthusiasts, much like the audience this identity would speak to, they understood the value in both communicating lucidly, but also pushing the envelope when needed. While not aiming to update the organization’s vision, mission or goals, the identity rebrand focuses on raising a flag of awareness for its cause. There was no emphasis placed on invention, rather a self-imposed desire to update the design for a contemporary audience as to not completely sever ties with any of the logo’s heritage — a trait we had yet to identify in the mark. 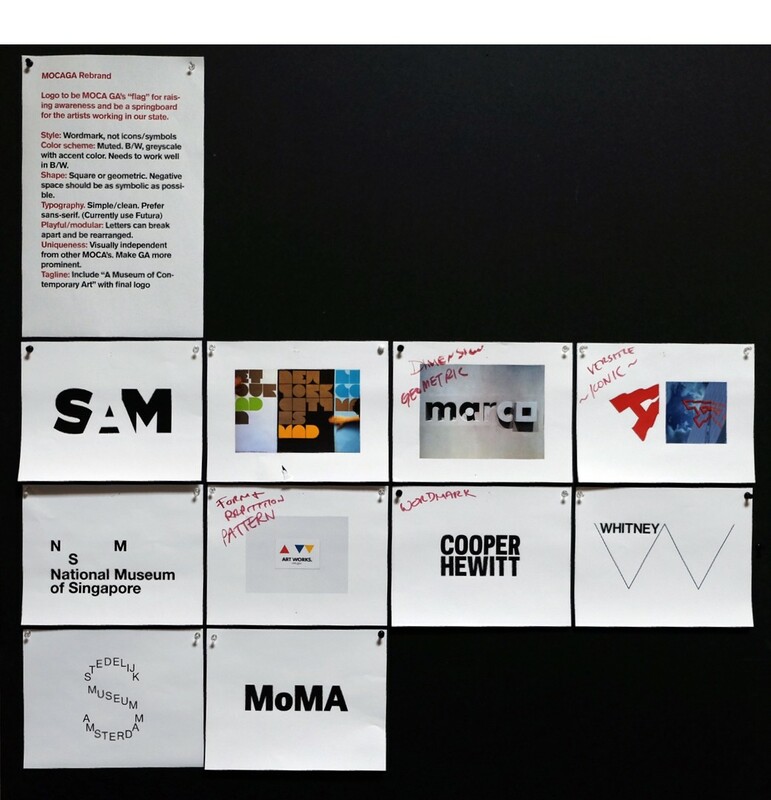 In our initial assessment we placed the current mark and collateral materials against logos from other museums of contemporary and modern art that we identified as effective in their abilities to use effortless devices to tell their story. 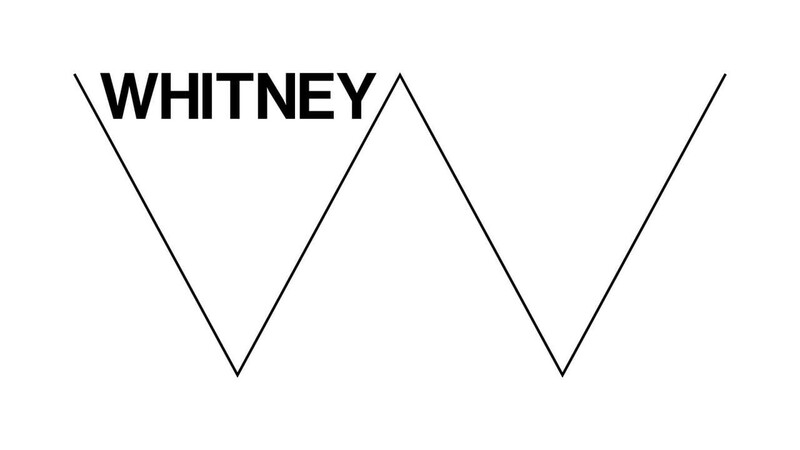 The most successful of these, the Whitney, allowed for a responsive, playful and ever-adaptable W to work within any medium of branding. The W, and its inherent plasticity, spoke to a flexible system. This device, along with the direct typographic treatment of the word WHITNEY, paired with accompanying imagery of the art, felt all at once branded, but subservient to the artwork itself. 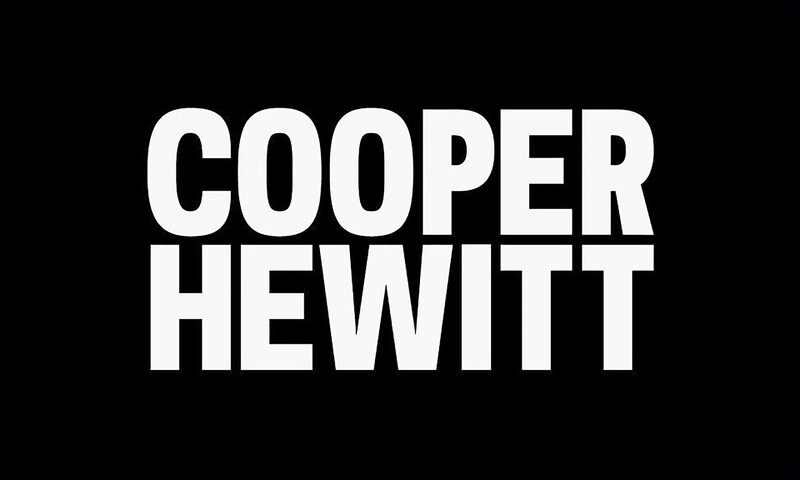 Cooper Hewitt, Smithsonian Design Museum’s sturdy wordmark also provided a source of inspiration as it felt fully calibrated to be discernible in any context while still displaying an idiosyncratic awkwardness that separates itself from the pack. Stark, dense and fully aware of its negative space as it is the space it consumes, the typeface carries over into all other applications of the brand to create a unified, impenetrable statement. 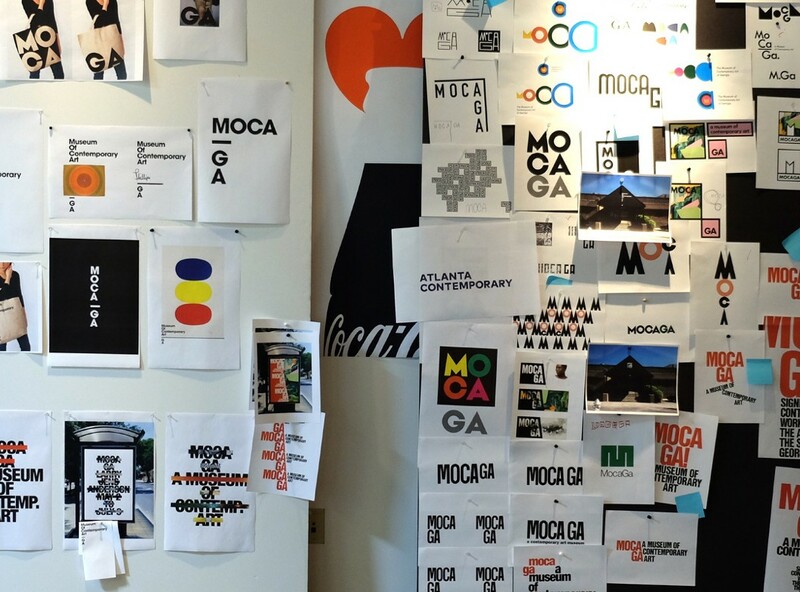 At the core of both these marks is an understated sophistication that suggested the need for eliminating the inefficient and ornate elements that plagued the legibility of the MOCA GA logo. With regards to legibility, the thin and brittle moments of the serif typeface all but disappear when applied to the “pencil test”, a means to gauge scalability based around fitting a logo on a pencil. The disorienting and ambivalent mix of italicized and regular type and the overlapping monogram brings with it transparency issues in black/white; and the overall structure of the logo felt unbalanced and unrefined. Beyond identifying its technical flaws, it became clear at this point that nothing within the logo spoke to the organization’s legacy or otherwise needed to be preserved, allowing us to make a clean break from the past. 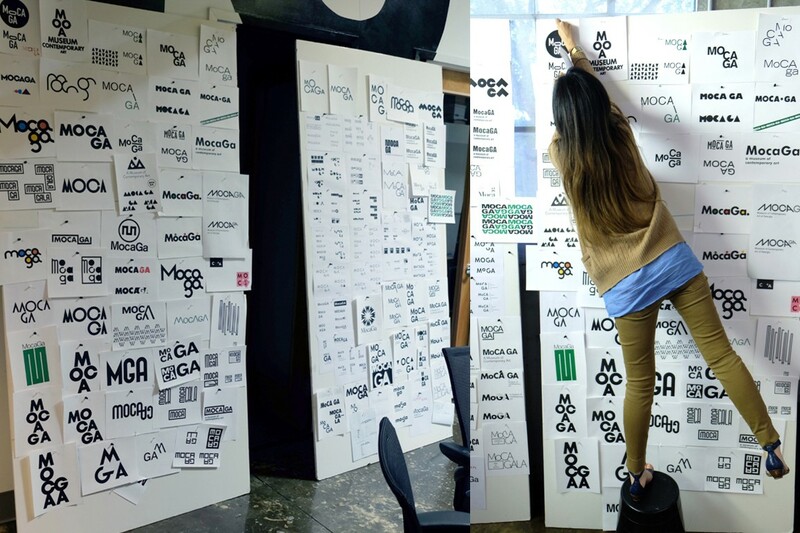 We began the design process by setting MOCA GA in different typefaces. This revealed itself more as an exercise to determine what doesn’t work. The repetitive geometric nature of the letters MOCA GA are susceptible to what we deemed “type gymnastics” — playful but otherwise meaningless interactions between letters, none yielding the effortless, hard-working mark needed to build an identity around. With the cobwebs cleared, it became a matter of iteration and refinement. We recalled clues from prior conversations with MOCA GA, including the shared opinion that the best works of art evoke the strongest emotions. 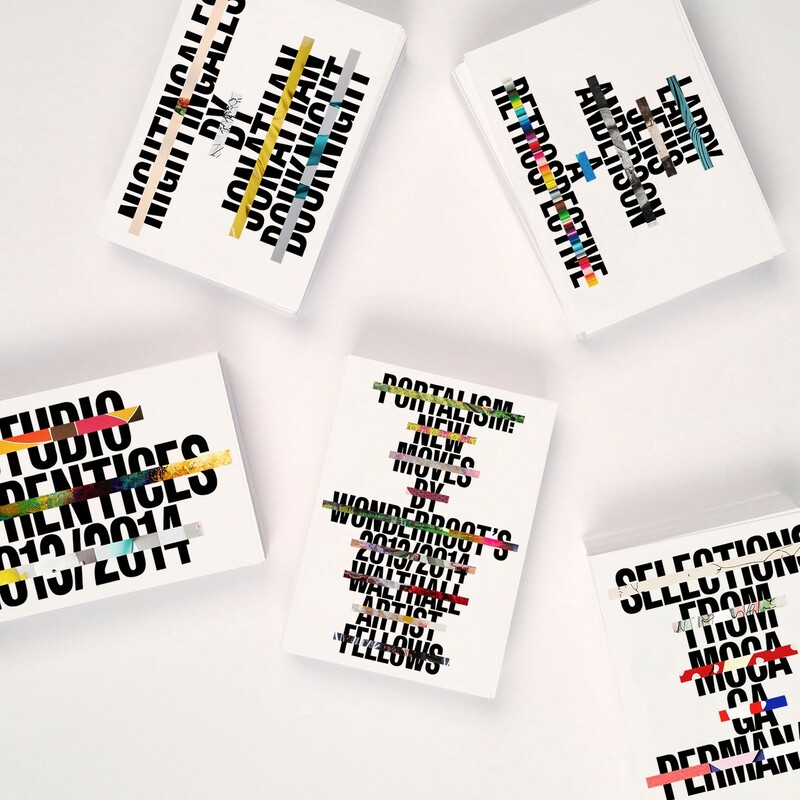 So how to infuse the provocative nature of art within our branding? This led to riffing on the prevalent concept of the logo acting as a window. We experimented with squares, circles and other geometric containers in order to explore a more modular-based mark that could house imagery, or perhaps break apart and be rearranged — an approach difficult to improve on and make one’s own. With each passing sketch we eventually honed in on three directions. Presenting so many varied and distinctive options can occasionally lead to the unfortunate client request to blend ideas, leaving the end result muddled. While being a valid concern, this is where our collaborative and open relationship with the client truly benefited the work. Though they had yet to see anything tangible, they had a better grasp of our thought process and design ecosystem when considering their own demands. A lovely bit of synchronicity, achieved through simple and constant dialogue. At our studio we guided Annette and her team through three overstuffed boards of sketches and ideas, each becoming progressively focused. We explained our rationale briefly so as to not linger on half-cocked explorations, but to provide enough exposition on our trajectory towards the three paths. The first, a monogram. 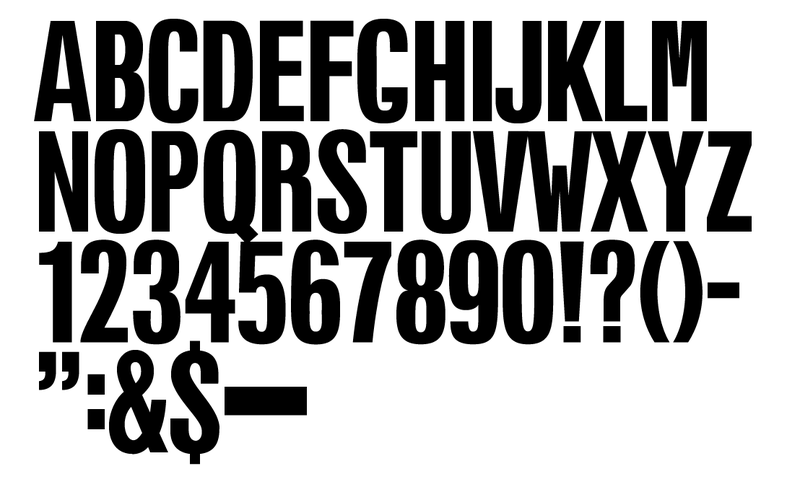 The most conservative of the three, this path focused on form and repetition to create maximum contrast and legibility. Custom-drawn letters housed within a block gave the mark a powerful “stamp” quality that could work with little fuss. What it lacked in innovation it made up for in craftsmanship. The second option reveals a more conceptual system at play. Stacked in Futura bold, the words MOCA and GA are separated by a “baseline” or “easel,” a device that could potentially hold content such an artist’s signature or the artwork itself. A natural metaphor as a platform for art, it wasn’t hard to imagine the possibilities of the line weaving through signage, way-finding, apparel and other materials. A big selling point was its use of Futura Bold, a typeface the staff could easily procure, that required very little adjustment to be pleasing to the eye. Our final direction we had nicknamed the “peep show.” A big, bold “war headline” type treatment adorned with strikethroughs that give a peek inside the museum’s work. For everything wrong with this execution — legibility sacrificed for mystery — its anti-logo qualities seemed to represent much of the ideology and thinking we had established originally, that the branding is secondary to the artwork. Its bold, uppercase, authoritative nature instantly recedes and is disarmed by the varied textures and colors of the work that covers it. While adhering to the “logo as a window” trope, the provocative essence of the strikethrough made for something a little more distinctive. 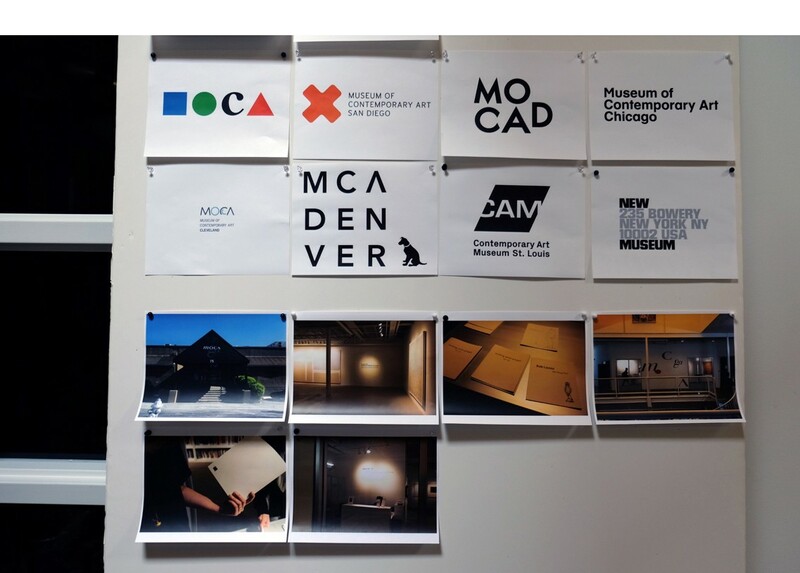 Each logo was met with its own degree of approval from the MOCA GA team, but the “peep show” seemed to evoke equal parts perplexity and intrigue. The obvious hesitance came from the negative connotation associated with striking through, or negating the organization’s name. It felt perilous yet compelling enough to dominate the conversation as we weighed each direction against one another. Much like the baseline, this path sparked a flood of ideas around its extension into other materials. As the consensus praised the mark’s subservient-to-the-art characteristics but feared its peculiarity, we realized the opportunity to sway opinion through voicing our own preference. 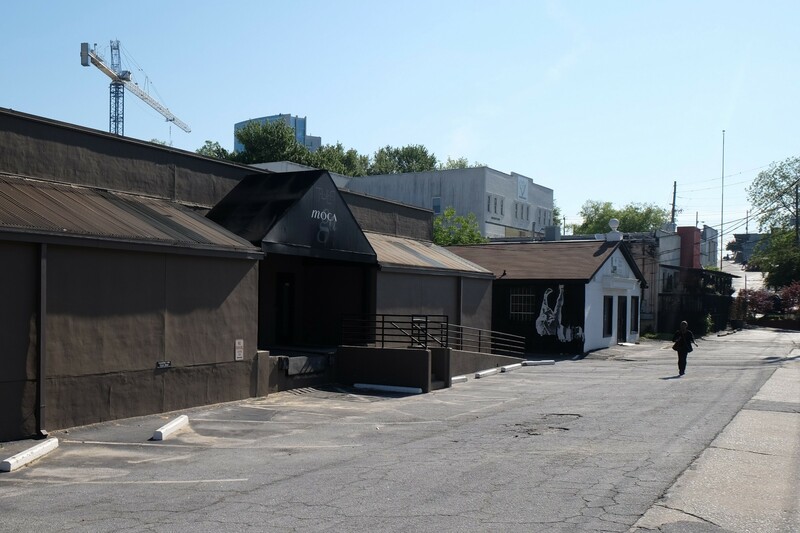 Being our favored option—for both its disruptive and practical qualities—we challenged MOCA GA to champion the risk other similar institutions in Atlanta avoided. In our being so forthright, their apprehension turned to enthusiasm. There was insistence from both parties that its legibility needed to be improved, and a thorough style guide was needed in order for their designers to work within the brand, but when the air of reluctance cleared and the shock of dissonance settled, graphic disobedience was embraced. We were given the thumbs-up to refine and clarify the “peep show” identity. The first order at hand was engineering the wordmark to accommodate the strikethroughs while still being readable. Our presented version used Helvetica Neue Condensed Black, an iconic san-serif typeface we appreciated for its practicality. Yet with its short counters it had to be manipulated in order to work strategically with our concept. 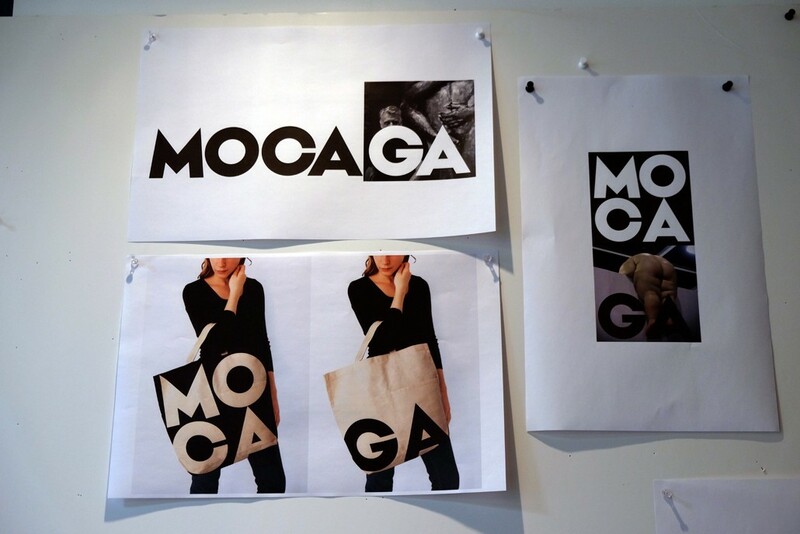 Since this direction hinged on the having a typeface that would extend through all of the brand’s communication, we had to develop an entire alphabet — MOCA GA’s custom font. 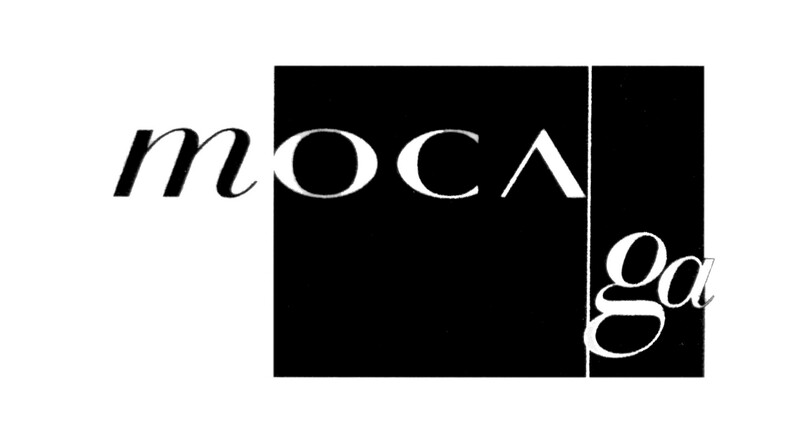 Not surprisingly, we began with the letters in the name MOCA GA. 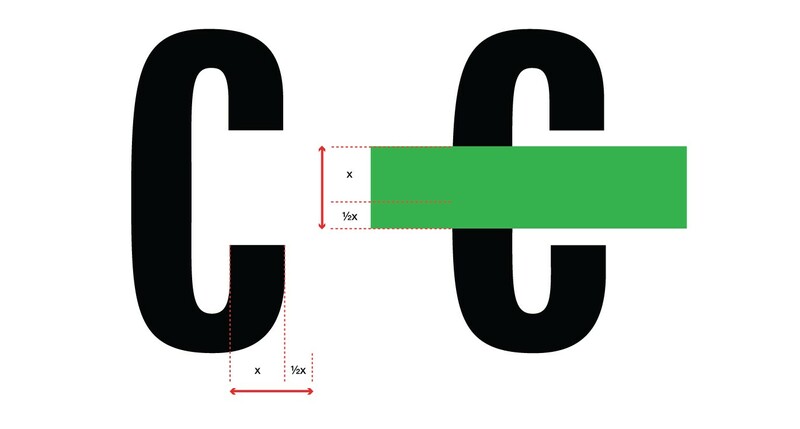 In order to open the counters of the typeface to allow room for the strikethrough, we had to define the height of the strikethrough in relation to the type. 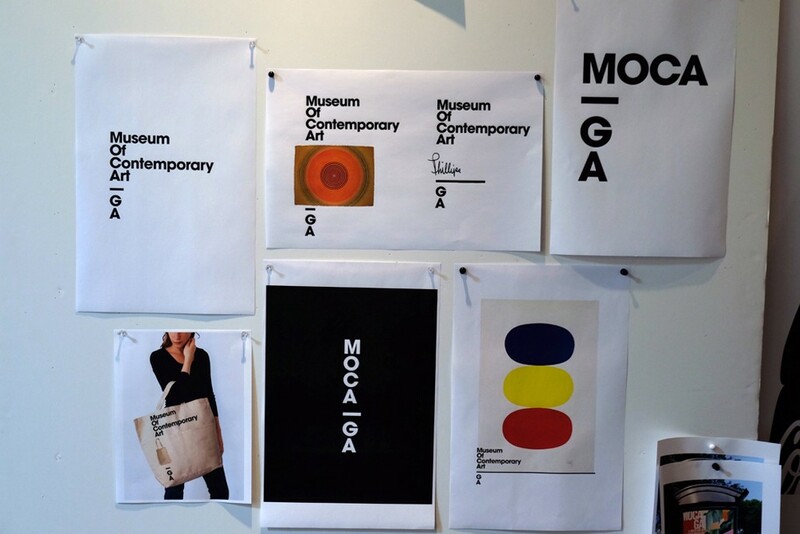 It had to be an equation simple enough for MOCA GA’s team to reproduce without constant reference to the style guide. 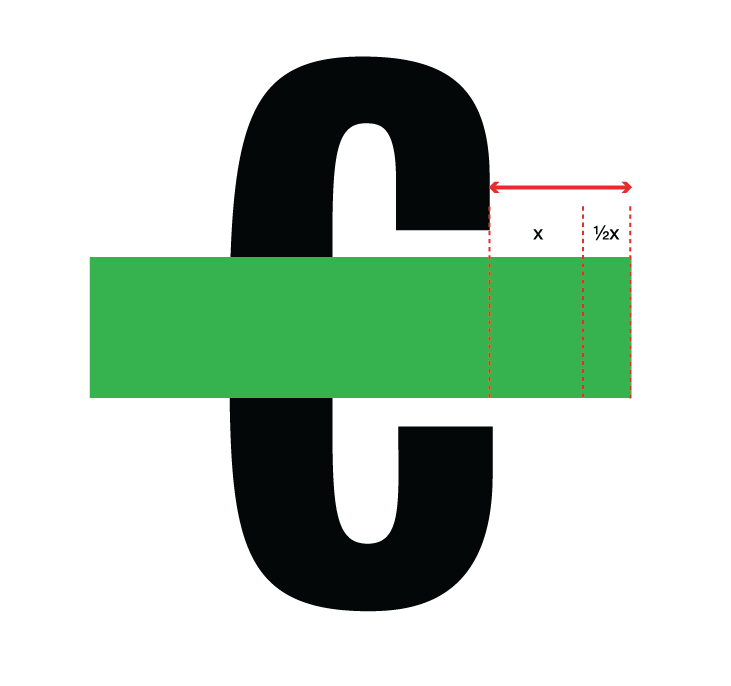 We decided the strikethrough’s height is determined by the width of the stem of the letter C, plus half that width. Once this rule was established, we were able to assess how open the counters needed to be in order to achieve a level of legibility when struck through, but also reading naturally without the strike. This adjustment to the counters effectively changes the cap-height, bringing with it a number of wonky deformities we gradually addressed letter by letter, occasionally embracing for the sake of personality. 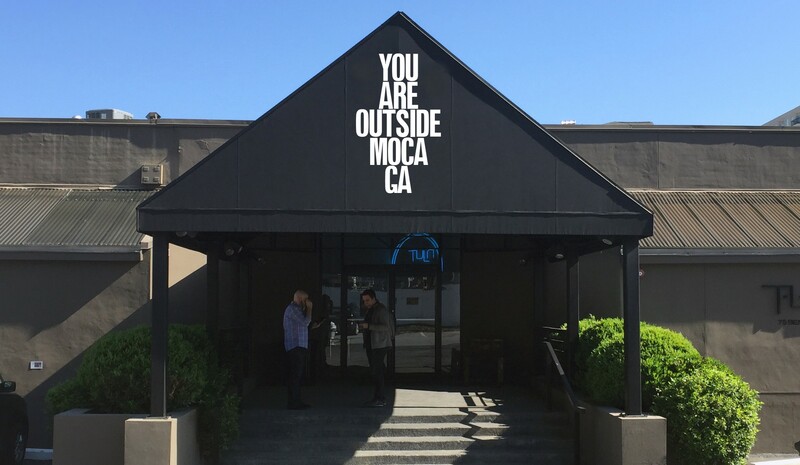 The end result, MOCA Tall, is the central element to MOCA GA’s visual communication system. Through consistent and repetitive use of this signature device in all branding — external and internal — the typeface becomes visual shorthand for identifying the organization. 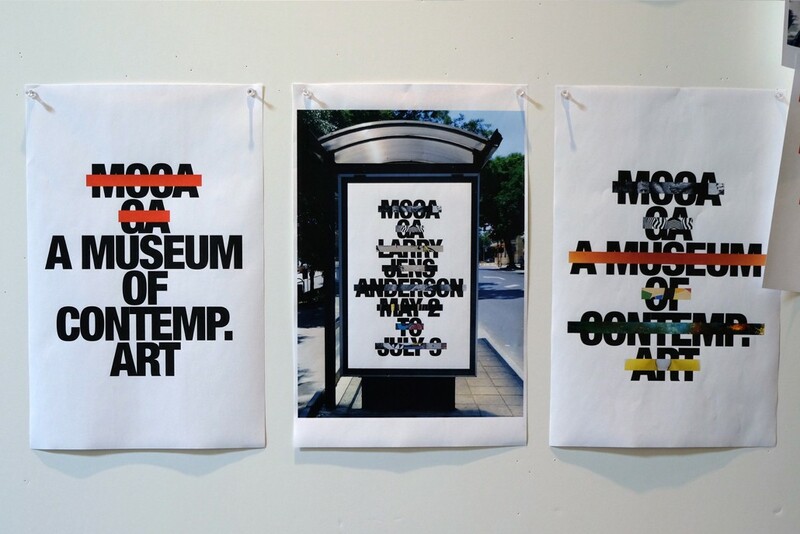 Combined with the strikethrough element, we have developed a graphic identity for MOCA GA that hinges on the works it displays, at the same time creating a platform for the artist that extends past the walls of the gallery itself. This project has served as an example of an exhaustive and mutually benefitting experience, for both the designer and client. To have the unflinching support of Annette and her team to explore and embrace far-reaching ideas with such unbridled enthusiasm, underlines the significance of the mutual trust required to achieve something outside the realm of comfort.